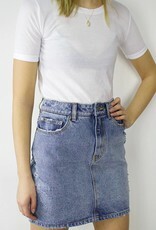 Bring fresh energy to a classic rock staple in the RVCA Jolt High Waist Denim Skirt. 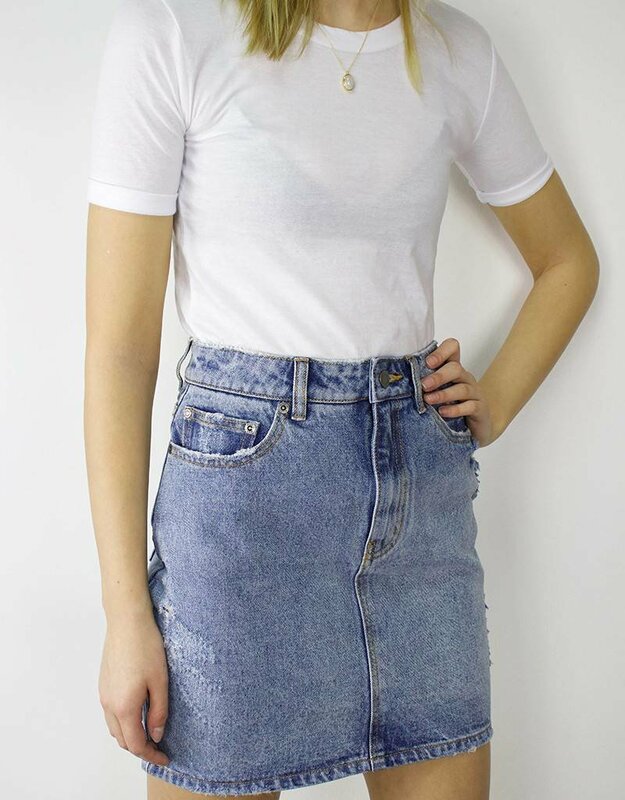 Made with washed-out vintage denim, the high waisted denim skirt balances fitted structure with a deconstructed finish and reversed panel details. 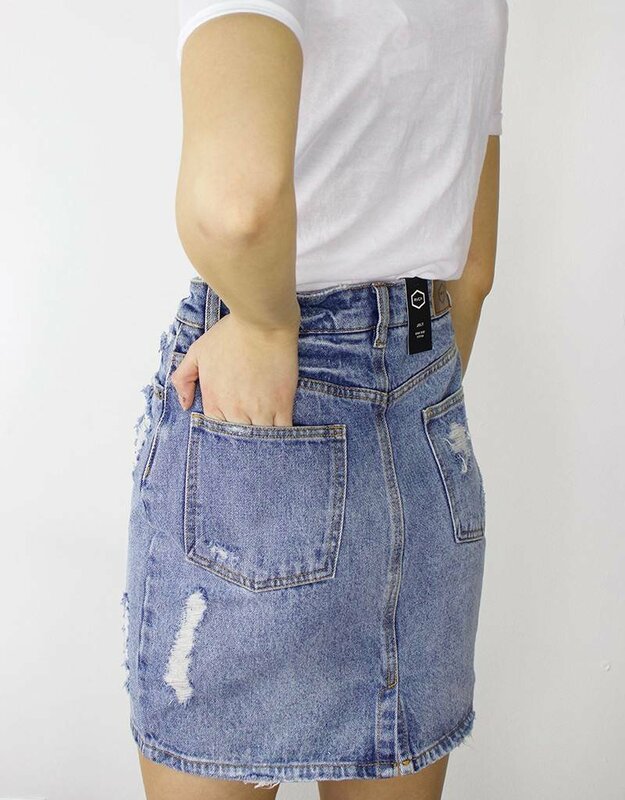 Designed with a traditional 5-pocket cut, the 100% cotton denim mini features a zip and button fly and back slit for movement.